Norfolk House School, on Norfolk Road, invited the British Universities and Colleges Sport (BUCS) silver medalist to talk to pupils about her sporting journey. Discussing mindfulness, and the impact it can have on success, Amy also inspired the children to run for four miles along the Harborne Walkway. 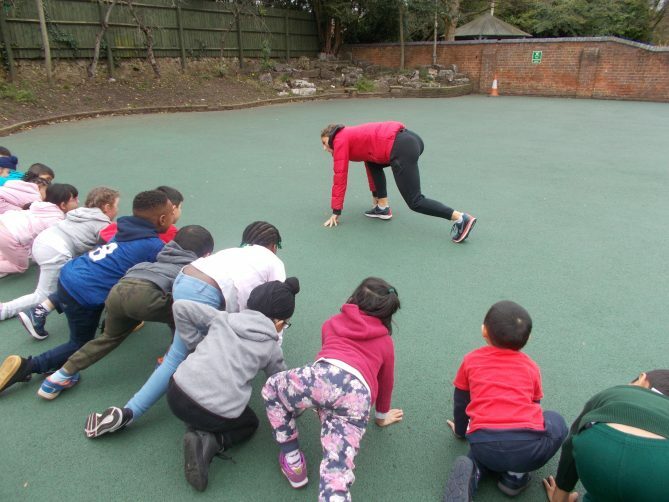 The visit was organised by Inspired Through Sport, a charity that provides athletes with funding through their #givingback athlete support programme, and continues the school’s recent push to encourage its families to be active. Norfolk House School recently launched ‘Walking Bus’, an initiative that aims to reduce congestion during the school run and promote exercise. Partnering with The Garden House on Hagley Road, parents can drop their children in the car park where Norfolk House staff will walk the pupils to school, teaching them about road safety. Susannah Palmer, Headmistress at Norfolk House School, said: “We are thrilled to have launched our ‘Walking Bus’ initiative as we want to encourage our pupils to be active both inside and outside school. The scheme has been really popular – we have already seen less traffic around the school, and have heard great feedback from the children taking part. For more information on Norfolk House School, please visit: www.norfolkhouseschool.co.uk.